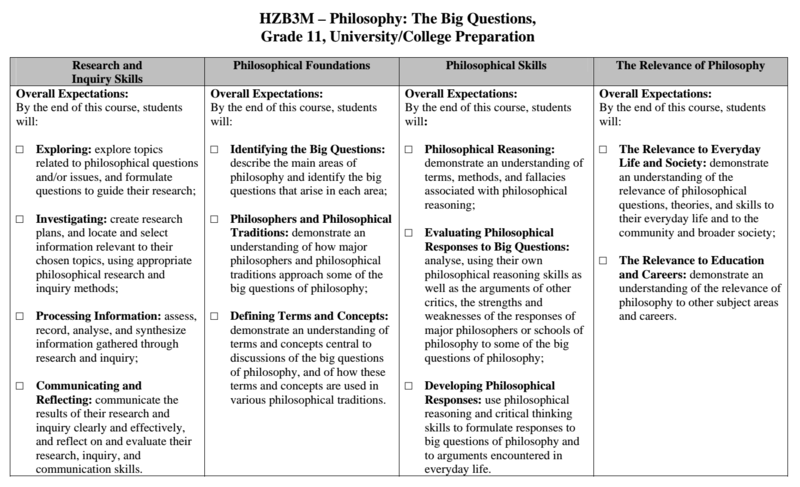 Course Description: Students will develop critical thinking and philosophical reasoning skills as they identify and analyse the responses of philosophers to the big questions and formulate their own responses to them. Students will explore the relevance of philosophical questions to society and to their everyday life. They will develop research and inquiry skills as they investigate various topics in philosophy.